We had a great experience working with WT in planning our wedding. From setting us up with crucial vendors including caterers, photographers, and make-up artists, and managing their communication, to ensuring that little things including decor arrangements came together at the last minute, WT provided us with a solid end-to-end service. 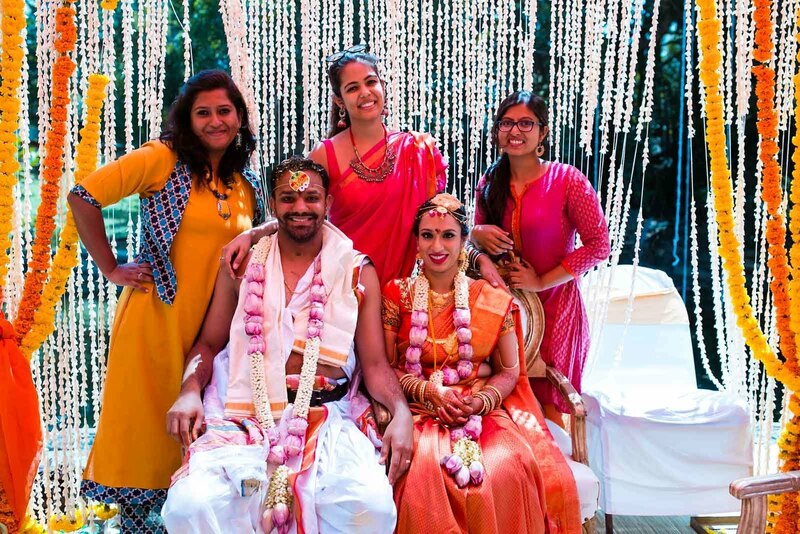 Even though we were planning our wedding remotely, WT was our anchor in Bangalore — they clarified our doubts, helped us narrow down our many options/ideas, and gave us confidence in our decision making. The WT team — Noor, Anagha, Varsha and Roseline — was always available for help and questions both before and during the event. We highly appreciated WT’s ability to keep things moving through many conflicting opinions, always maintaining a reality check and saying no when needed. We especially enjoyed the customized decor presentation ideas, and how they ensured that the setup was ready to go even with a tight timeline. Thanks to WT for turning our collective ideas and dreams into reality. We will remember them and their service for the rest of our lives, and we whole-heartedly recommend them to plan your wedding.